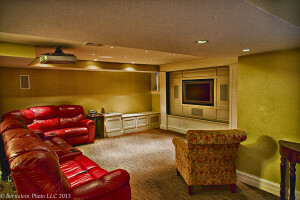 Would you like to have a state-of-the-art whole house audio and video system installed in your home in Westborough or Northborough, Massachusetts? If so, allow the experienced electrical professionals at VMA Electric be of service. We know more than just a thing or two about both home audio and video, and our team will provide a tailored solution for you to enjoy in the comfort of your home. Whole house audio – We’ll fill your home with state-of-the-art wireless speakers from Sonos. These speakers can act as one to play a single audio source throughout your entire home, or they can be independent of one another, so you can play rock in the kitchen, blues in the bedroom, and watch a movie with surround sound, all at the same time and all on the same audio system. Whole house video – Through a technology called distributive video, we can allow you to receive separate video feeds to up to six different televisions in your home, all on a single cable box. So, if you want to watch the Red Sox while others in your family want to watch their favorite shows, there’s no more fighting over who gets to watch what they want. Long story short, everybody wins. To find out more about the top-quality whole house audio and video solutions provided by VMA Electric, please contact us today. We’re proud to serve homeowners throughout Westborough, Northborough, and surrounding Metro West MA communities.